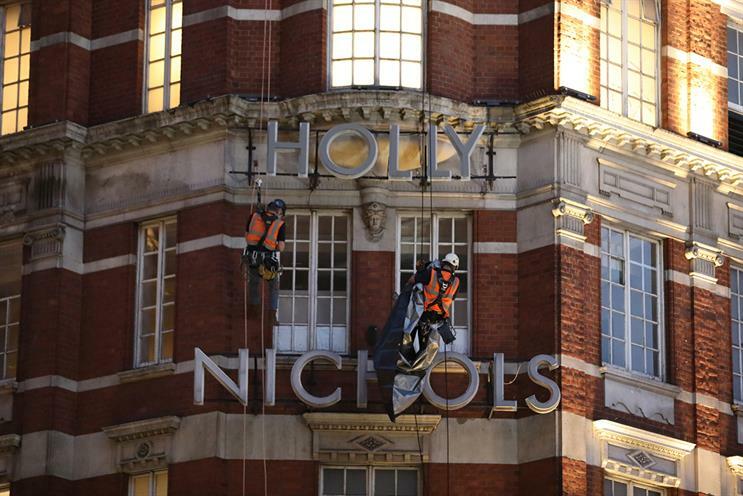 Harvey Nichols has rebranded to Holly Nichols for the month of September as part of a women's empowerment campaign, but the change leaves out the name of the company's female co-founder Anne Harvey. The retailer revealed the temporary name change this week to kick off its "Let’s hear it for the girls" campaign celebrating women. A second part of the campaign, created by TBWA\London, will launch next week. 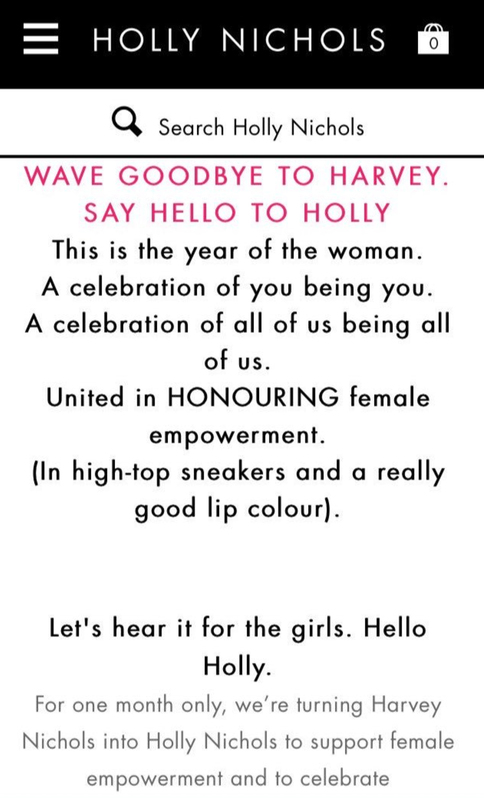 The name Holly was chosen to represent all women rather than focus on just one person, Deborah Bee, the group marketing and creative director at Harvey Nichols, told Campaign. Holly also has a visual similarity to Harvey, which lends to the surprise of the switch, she explained. In 1831 Benjamin Harvey opened a linen shop on the corner of Knightsbridge and Sloane Street in London, and a decade later he employed James Nichols. When Benjamin died in 1850, his wife Anne Harvey took over the business and went into partnership with Nichols, forming Harvey Nichols & Co.
"Anne Harvey and James Nichols did formalise the working relationship that already existed, and combined their surnames. However, most people don’t know that and think it was actually a Mr Harvey Nichols who founded the company," Bee said. The department store will celebrate more of its history at an event on 13 September with some modern women of London, she added. The activity promotes Harvey Nichols’ refurbished first floor of womenswear at its flagship store in Knightsbridge. Its signage, social media channels, shopping bags and other collateral have been rebranded to Holly Nichols. Pavement art around the Knightsbridge shop features quotes about women’s rights. The website and social media posts explaining the name change have not mentioned Anne Harvey. "Let’s hear it for the girls" is the debut work by TBWA\London for Harvey Nichols since winning its ad account in March. Bee joined the retailer earlier that month and split with Adam & Eve/DDB, its agency of 17 years, just days into the job. Women comprise seven out of nine of Harvey Nichols’ current board members.